Whole Food Definition: Food that has been processed or refined as little as possible and is free from additives or other artificial substances. *We’re planning to eat as many meals as possible at the house versus going out. When we go places, we plan on packing meals to eat. We normally do this for Emma, so it’s just two more people to pack for now. *There will be no limits to grocery shopping. I will shop for things as needed and have spilt it up between a few different places throughout the month.I have also stocked up on a few things from the farmer’s market and our local grocery store already. *We created a meal plan. Meal planning can be tough but we’re doing it. The only thing I didn’t label too well was breakfasts. We eat a lot of fruit in the mornings which don’t have to have much planning put into them. Plus, we always have baked oatmeal on hand. For the weekends, I will prepare items like muffins, pancakes, and more. Also, I have listed and planned for meals so we *shouldn’t* have to eat out any. *We did plan a few times for eating out, just in case. We know that if we don’t, we could potentially fail and we don’t want to fail. We decided on eating out twice for any meal and three times for whole food meals. 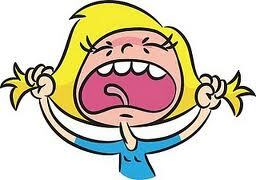 The reason for this is we have several times this month that we are going out of town. Several meals we will pack but we want to have back up options just in case. Our goal is to only eat whole foods but just in case we can’t find a place, we wanted to have a plan. Our plan is to NOT use all our options but at least they’re available. *Each day at 12pm, I will be posting what our meals are for the day, that way you can follow us. I am using several ebooks that I found on Amazon (for free!) and will be labeling where I find everything. So now it’s YOUR turn! Do you have any questions for me? Any recommendations? We can’t wait to start this journey! Every once in awhile I stumble upon something amazing. I stumble upon something so wonderful that my husband falls in love with me again and I make Emma happy for at least a solid week. I have news for you. THIS moment, the one where I made homemade hummus, was NOT that moment. In fact, my husband was certain Emma had a huge poopy diaper as I was making this dish. Wow, now if that’s not a compliment I don’t know what is! I think I know where this went wrong right off the bat. When I decided to make homemade tahini paste I didn’t realize what I was doing. I followed the directions by toasting my sesame seeds (and I burnt a few, too) and then mixing them with olive oil. I put them in the blender and blended until I was pretty sure my motor was going to burn out. Let me point out here that I love my Cuisinart blender. It always works well so I’m not sure what went wrong with this recipe but it did. My next idea was pure genius I was sure. 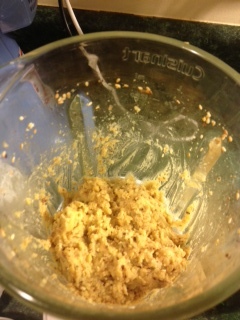 I went ahead and put ALL the ingredients for the hummus in WITH the unblended olive oil and toasted sesame seeds. It went downhill quick. The mix wouldn’t blend well. I even added a little more oil and lemon juice in hopes that it would loosen up but I had no luck. Yikes. My last hope was bringing it to JR (prior to realizing the poop thought that ran through his head). He tasted a little of it (and it wasn’t too, too bad) and then told me it looked and smelt like potted meat. That sealed the deal right there. 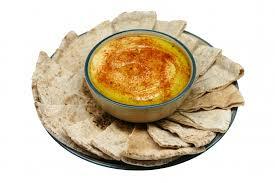 This hummus was the worst. Idea. Ever. For lack of a good recipe, I will not be posting this one for you. The good news is there is GREAT DEAL going on right now that you can be a part of and get some GREAT RECIPES (and a lot of other great things, too)! Check it out below! For 6 days only, more than 75 widely-known bloggers and authors in the homemaking sphere have joined together to offer 97 of their most popular eBooks and eCourses, valued at just over $600, for the incredibly low price of $29.97! More than anything, the goal for this sale was for it to be, well… ultimate! I firmly believe that you will not find a more comprehensive collection of homemaking resources anywhere on the web, and particularly not in this price range. For this low price, you gain access to every single one of these resources, so that you can customize your own collection to contain exactly the ones you want and know you’ll use. This library of homemaking helps include topics such as mothering, organization and cleaning, recipes and kitchen helps, home education, spiritual growth for both moms and kids, home décor and DIY, pregnancy and baby care, frugal living, health and fitness, and even work-from-home and financial tools. To sweeten the pot, there are 10 companies bringing you over $140 in bonus offers, giving you an affordable opportunity to get products you’ll use and love for only the cost of shipping, or in some cases, entirely for free! What’s Included in the Sale? 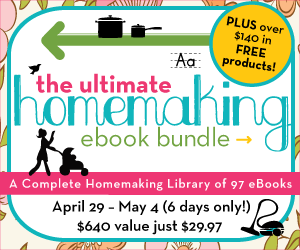 Each The Ultimate Homemaking eBook collection comes with more than $140 of FREE Bonuses from 10 companies that we know you’ll love. More on these bonuses below. I love the feeling of losing weight. People ask, you notice, and your clothes get bigger. Well, that can be a double-edged sword. Obviously, you want your clothes to get bigger. The down side is when you’re on your way down and not at your goal and clothes aren’t fitting. You don’t want to buy all new clothes but you also can’t go to work with your pants at your knees. Then you won’t have a job to have money to buy new clothes once you get to your goal. Bummer! Today I want to share some tips on how to use what you’ve got (and a maybe a few essentials to get, too). Join me! *What won’t work. These are the things that will never fit again and you have no problem parting with, EVER. They are also the things that can’t be used in any way during weight loss. Put these in a pile to donate or sell at your local consignment sale. *What will work later. If you have plans on becoming pregnant, some of these outfits may work for maternity attire on you. Keep in mind that you don’t jump from your size to prego belly in a day so you’ll need some clothes to help you through that jump. Some clothes that fit you a few pounds heavier would be a good idea. The only time this wouldn’t work is if you’re doing a drastic weight loss (I would say 50 pounds+), then you probably wouldn’t fit in them prego, either. Just put those back in the “what won’t work” pile. *What will work now. During your transition, some of your clothes WILL work now. Start looking at your clothes and thinking about what shirts can now be worn as tunics, what pants/dresses can be belted, and what loose attire could fit you on the way down (ie: dresses, stretch-y pants, etc). Hold onto those because they will be your best friends as you move down the chart. *Leggings- I love them. I know people have a love/hate relationship with them but I’m on the love end. Unless people wear them like pants. NO ONE should wear them like pants. Leggings help in the process because they help make long shirts/tunics able to be worn without pants. These are usually too short to wear alone or with tights so leggings bridge the gap. *Dresses- I love a good dress. I wear them a lot of the winter with legging and boots and then in the summer bare-legged and with sandals or flats. As I lose weight, I belt them. Dresses are definitely forgiving as you’re on the way down and don’t show off anything you don’t want seen. I love dresses! A lot of mine will be usable when I’m at my final destination or as maternity wear the next time around. *Skirts- not much to say here other than they fit in a similar category as dresses. I love a good skirt and they are great to wear on the way down, too. The reasons are similar to that of dresses so I’m going to leave here and go to the next place. *Shorts/pants/capris- I am careful here. Very, very careful. I try to get things with some elastic in them so I know they can stretch some. I know they’ll fit through a few different sizes so I get more use out of them than something that’s fitted. *Loose shirts/tops- I try to find shirts I’ve worn before that have the ability to stretch a little and be a little longer with added weight gone. These tops usually make great tunics in the mean time and work well with leggings. What a great way to make something old new! Here are some tips on how I do it. I hope it helps you! 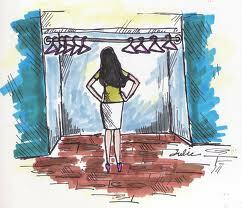 What is your favorite item to wear during the midst of weight loss? I have a great deal to announce to you! If you like reading or just a great deal, this is the one for YOU! Starting Monday, you can can get a total of 97 ebooks (you heard me right—97!) for the low price of $29.97! These books are normally worth over $600 so what a steal! It includes books from some of my favorite bloggers- including Stacy and her husband, Barry. Every topic is covered that you can think of for us homemakers- cleaning, organizing, decorating, cooking, education, childbirth, baby raising, pregnancy, health & fitness, and more! And that’s NOT ALL! There are over $140 worth of FREE ITEMS! Be sure to come back Monday for more details and to purchase your ebook set RIGHT HERE at Embracing Everything Emma! I love being on vacation. It doesn’t matter if I’m at home or away (even though we go away a lot), it’s nice to relax from time to time. JR and I have 3 weeks of vacation every year, counting our week off after Christmas, and very rarely, if ever, have we been able to afford to go away every time. The only time we have been able to is if lodging has been offered to us for substantially less, or even free. For those times that we don’t have this option, we choose to vacation locally or even do a staycation. Here are some tips on how to do this where you live! *Set a budget. First things first. Even going to the pool is going to cost money so decide up front exactly how much you can afford. Whether it be $20 or $150, you need to have it written down and budgeted into your plan. We’ve learned that we are able to plan better, too, when we know what we have to work with in advance. *Check your connections. Everybody knows somebody. Your somebody may be able to get you somewhere to stay for free or discounted, free tickets to a location/event, or be able to go with you to help cut costs. The options here are endless. Another connection you may have that you don’t even notice is your child. Yes, I said your child. We play the Emma card regularly and usually get some deals from her. She’s so cute and polite and when she says “thank you”, it’s the icing on the cake. It may be something as small as a few extra sides with our meal, but every bit counts. Thanks Emma! *Make a list. Come up with a list of anything and everything you may want to do locally. Is there a store you’ve wanted to visit? I know a popular destination around here is the Mast General Store and there are several to choose from depending on the area you want to travel. It could be that you want to be outdoors a lot and hiking and swimming falls onto your list. Whatever it may be, make a list to start. If you don’t know where you want to do your activity, that’s ok, too. *Ask around. Ask your parents, friends, co-workers, and more where they recommend. Let’s be honest here- you’re going to get some bad ideas. The good news is you’re also going to get some good ideas. Cling tight to those. Once you hear people list a place more than once you usually know it’s worth considering. Make a mental note of that one, or even better, write it down. *Once you make your final decision(s) on what you’re doing, find out what you need to do next. If you’re going somewhere that you need tickets/reservations, start planning that now. Some places you can show up the day of but others you need to make reservations or buy tickets prior to arrival. Nothing is worse than showing up somewhere unprepared. Also, while you’re planning, look for deals and coupons. For example, there are certain times a year that National Parks are free. There are also certain times a year that different websites offer coupons/deals on their locations. Even though some areas have “prime time” during the summer months, it doesn’t mean they don’t offer deals. Before we part ways, I want to share some ideas for the locals around here. Here are some places JR and I like to visit and we’ve proud Emma to all of them so we know kids can go, too! 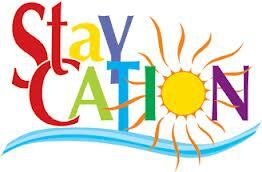 Enjoy planning your vacation, even the staycations! 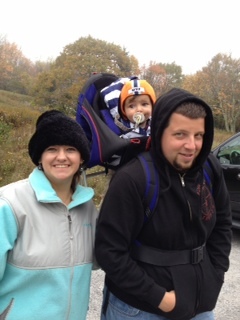 Grayson Highlands Park– we love to go here. It’s a great place to bring your food and picnic. There are several times throughout the year that entrance is free but even when it’s not, it’s less than $10. It’s also great to see the wild ponies! Hungry Mother Park– we have always been big fans of Hungry Mother Park. From the swimming, to the trails, to the kayaking, and more, it’s a great place to go. My grandparents use to date there regularly so a lot of special history is there. It’s also where my brother and sister in law got married. I highly recommend it for all! 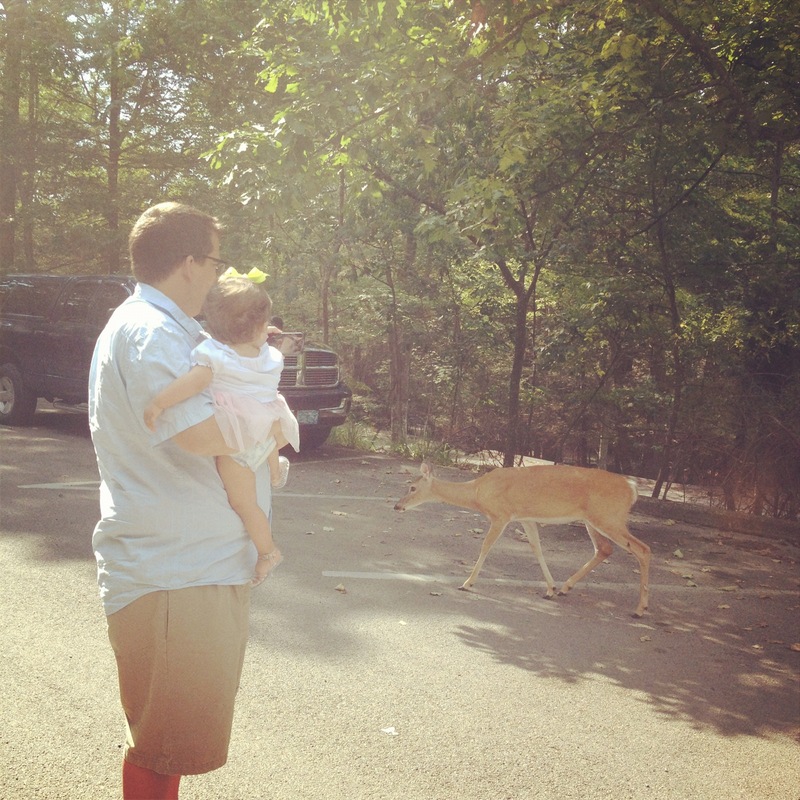 Bays Mountain-we took Emma here for her 1st birthday and she absolutely loved the wild animals, including the deer walking through the parking lot. We had a coupon for free parking and didn’t spend any additional money, so this trip was free for us other than gas. 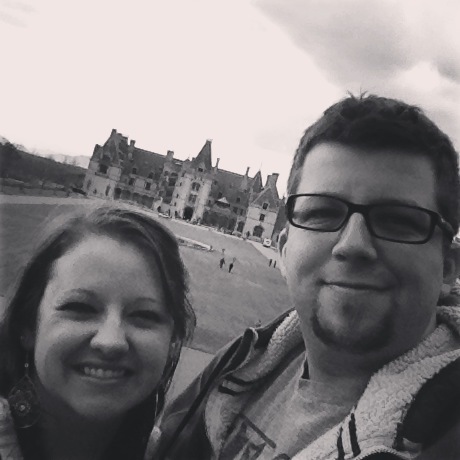 Backbone Rock– I’ve actually only been once or twice but hope to go this year with Emma. It’s a few miles from Damascus and would be a great place to picnic and just hang out for the day. The falls are just across the way from the rock itself. Asheville, North Carolina– about 2 hours from Abingdon and offers some great options. Check out my post here for more information. Knoxville, Tennessee– there is a lot to do in Knoxville for free or cheap. We like to go down and walk along the river in front of UT, too. It’s a wonderful place to go on a nice fall day, especially if you decide to go to a game (or get free tickets)! Boone, North Carolina– the founding Mast General Store can be found here. We like to go to Boone and right next door to Blowing Rock. They have great outlets, little stores, and local restaurants galore. Gatlinburg, Tennessee– the home of Dollywood and the newest addition, Splash Country. 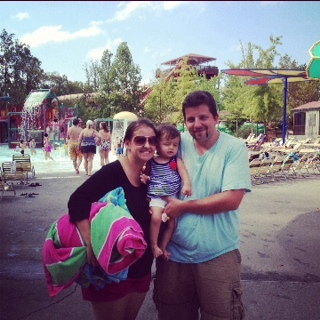 We got season passes to Splash Country this year and love it (we went once last year). There are many things you can do in Gatlinburg for less money, it just depends on how much you want to spend. There are also contests all the time online and in stores for free cabin rentals. Take a chance! I’ve thought about this and maybe this post should be called confessions of a blogger? Either way, it’s just the brutal, honest truth that life as a blogger isn’t always pretty and beautiful. The sun doesn’t always shine and bird aren’t always singing. Sometimes life is stinky. Let me start by saying that my husband and I cleaned our house from top to bottom about two weeks ago. It was wonderful. I finished and felt like our house was worth a million bucks. About two days after it, it didn’t look quite like that. At all. Toys everywhere, clothes to be washed, smooshed yogurt and crackers on the floor, and more. Let me add here that we hadn’t cleaned our downstairs in MONTHS. Maybe a year? It was that bad. And we’re still not done. At my craft table sits craft ideas from Emma’s birth and a scrapbook that ended at our honeymoon. And the icing on the non-cleaning cake? A broken toilet seat downstairs. Yes people, do not plan to come over to our house and plan to use our downstairs bathroom for anything other than washing your hands or checking your hair. When will it be ready? I don’t know. I haven’t wanting to spend the money on a new seat since we aren’t using it now. How sad it that? Emma and I ended up with the stomach bug this weekend. I did absolutely nothing. Not one stinking thing. I think the other move I made was changing an awful diaper that Emma had and placing it in the toilet to soak. It was that bad. Do you know what happened next? That diaper sat in our toilet for all of 18 hours while I slept. I eventually got to it after we were smart and switched to disposable while Emma finished up her illness. There were toys everywhere, clothes in all different parts of the house, and who knows what else. In fact, I’m still working on cleaning it up. I’m hoping to get to it one of these days. Don’t even get me started on the food. The food is out of control! This morning, I found molded bread on my microwave (ew!) and yesterday I cleaned out TONS of old food in the fridge. How is managed to stay that long, I don’t know. I’m pretty sure I’ve been on repeat mode with everything I’ve fed my daughter the past few days and I’ve been too busy to think twice about it. No new foods for us, just the same ole thing. Before being sick, I finally found time to clean out my fridge and freezer (possibly the first deep clean since we moved in 5 years ago?) and couldn’t believe the mess that was there. That’s just gross. But it’s the truth. So welcome to my life. My busy, messy life. I love every bit of it, but please believe me when I say it’s far from perfect! I’m just another person, like you, who is doing life one baby step at a time. Every once in awhile God blesses us with what I like to call forever friends. These forever friends can come in many different shapes and forms, but most often it’s found in our family. My brother is my closest forever friend and always will be. I can’t remember the moment he entered my life but I also can’t remember a moment without him. Along with siblings, come cousins. Cousins are great! I was born into a family with 4 girl cousins (which I consider more like sisters since I never had one) and a baby boy cousin who is no longer a baby (he just turned seven a few short days ago!). My dear cousin, Kelly, was the first to see our sweet Emma Grayce. She came up just over a week after she was born to take some family pictures which I will always treasure. We hope to do the same for her. Do you know why? 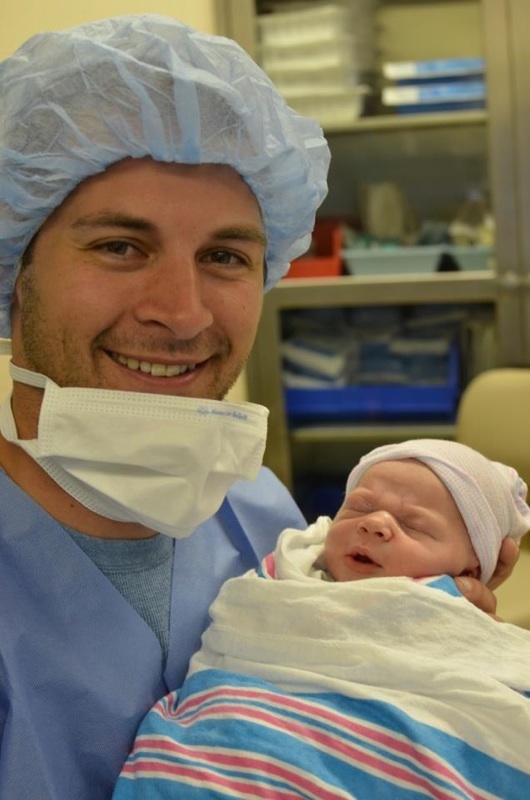 Because Kelly and her sweet husband, Brandon, just had their first baby and Emma’s first cousin- Owen Reid Harris! 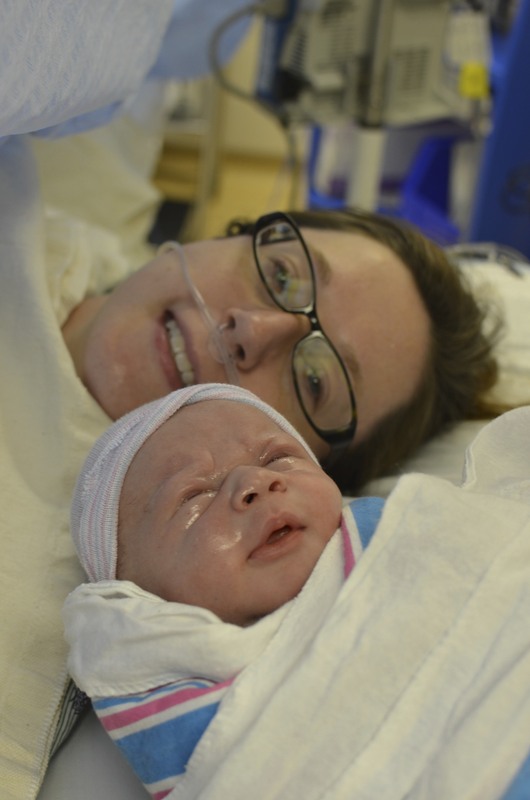 I would like to welcome Owen to this wonderful world. He has blessed our family with a precious boy to love on and spoil for the rest of his life. He has provided two people with more purpose than we ever know until we are parents ourselves. 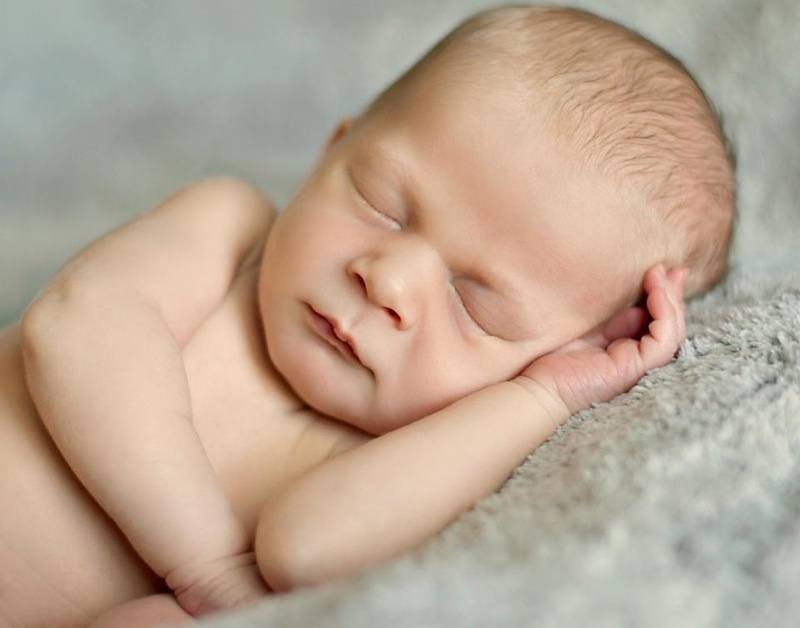 I ask that you would pray for them daily as they enter this new world of parenthood and that God would bless them as they follow Him in how to raise their little boy. I have a feeling Owen and Emma will spend many years together causing more trouble than we could ever imagine. I can’t imagine they won’t because I remember so many times of trouble with Kelly. I think it’s nothing short of amazing that Emma and Owen are exactly the same age apart as Kelly and I- 1 year and 9 months. I pray that they will grow close and be there for one another in years to come. They are family. They are forever friends. I am so glad that Emma was blessed with a forever friend and that Brandon and Kelly were even more blessed with this precious child! We cannot wait to meet him and are counting down the days- only 10 days to go! 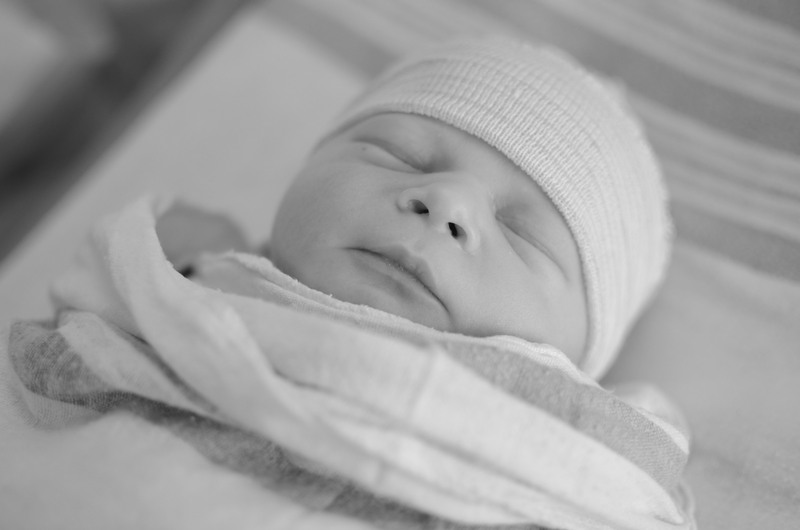 Join me today in welcoming baby Owen (or baby O as Emma says) into the world! We love you and cannot wait to spoil, hug, and kiss you tons! In case you all looked last night, let me start now by saying we will NOT be making hummus today. We’ve had the stomach bug at the Linkous house this weekend and hummus was the last thing on my mind and I definitely didn’t want it in my stomach. As long as everyone stays healthy, we will making it for next Monday. This week, however, we are going to focus on something else. Something wonderful. The Farmer’s Market! Join me! The Farmer’s Market isn’t something that is only found in one area. There are Farmer’s Markets in just about every town and city now. Ours in Abingdon is one of our favorites but we’ve been to several, including the one in Greenville, South Carolina, and love them, too. 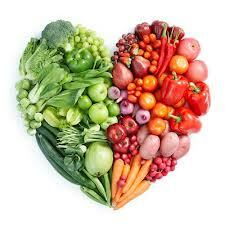 I want to encourage you all today to shop your local farmer’s market and what you can be looking for there. Herbs and spices. A lot of farmer’s markets will sell herbs and spices and sometimes the plants themselves. It’s a great way to add flavor to your food and it be fresh, too. One of our favorite things to buy from the market is the fresh cilantro. It makes some yummy salsa! Produce. I’ve never tasted better corn than what we’ve bought at the market. Most markets have websites that will tell you what is in season so you’ll know before you go. Most also have a mailing list that will tell you what they have coming that week, too. I really like that. Also, some areas have different produce at different times. If you plan on visiting another area and going to their market, check what is available for them. Canned items. Our market sells everything from jam to salsa, to honey to maple syrup, to molasses to peanut butter. It seriously rocks. We buy almost everything on this list from the market. 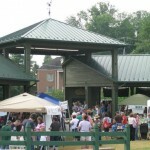 In fact, we are going to visit the Greenville market in a few weeks and the salsa there is amazing. It will definitely be purchased! JR has been talking about it for a few weeks solid now. A chance to find new stores. Several local stores are usually set up at your market, too. You can try their coffees, pastries, and other items and see what you think. We buy meats from a local place in Abingdon that we found through the market. Also, in larger areas you can find even more things. There are some amazing pastas at the market in Greenville. They will change your life! So, these are a few reasons why we love buying at our Farmer’s Market. It also supports buying local, which we’re all about. I hope this helps you in figuring out all the wonderful things you can get at your local market. If you live in or near Abingdon, we hope to see you there! What is your favorite thing to buy at your local market?